This post contains affiliate links. 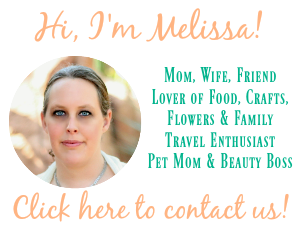 I may make a commission on purchases through links in this post, at no extra cost to you. Cupcakes are a favorite treat for pretty much everyone and you really can’t go wrong when making them as a delicious dessert. 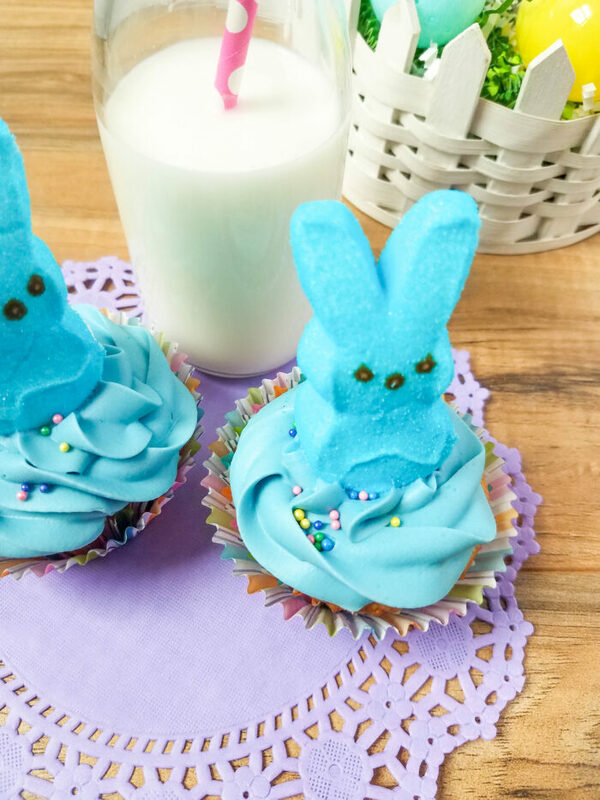 These easy Peeps bunny cupcakes are perfect for Easter, and are a great way to use up those leftover Peeps as well. 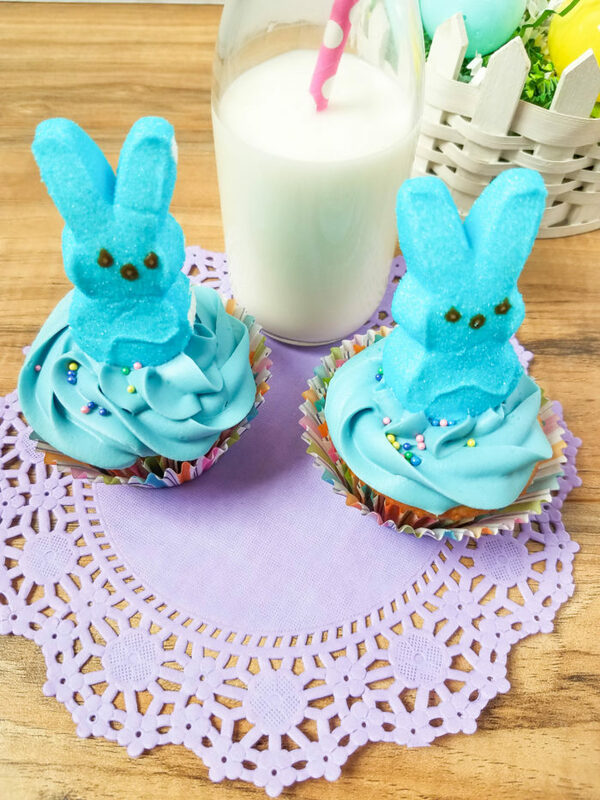 These Peeps bunny cupcakes are so simple to make, because you can use a boxed cake mix if you would like to, allowing you to save a bit of time in the kitchen. I mean, who doesn’t like to spend take shortcuts here and there when you’re preparing for holiday dinners and celebrations?! 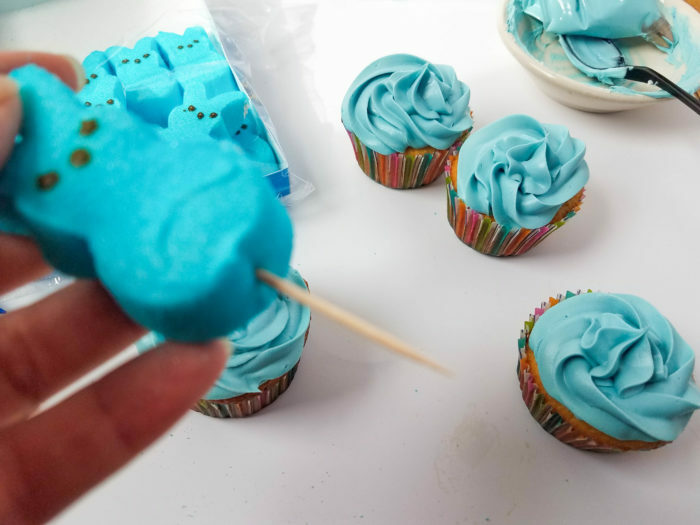 Just grab a package of Peeps bunnies, whip up some cupcakes and make sure that you have a 1M Open Star Piping Tip on hand for frosting the cupcakes. Grab the recipe below so that you can make easy Peeps bunny cupcakes for your family and friends. 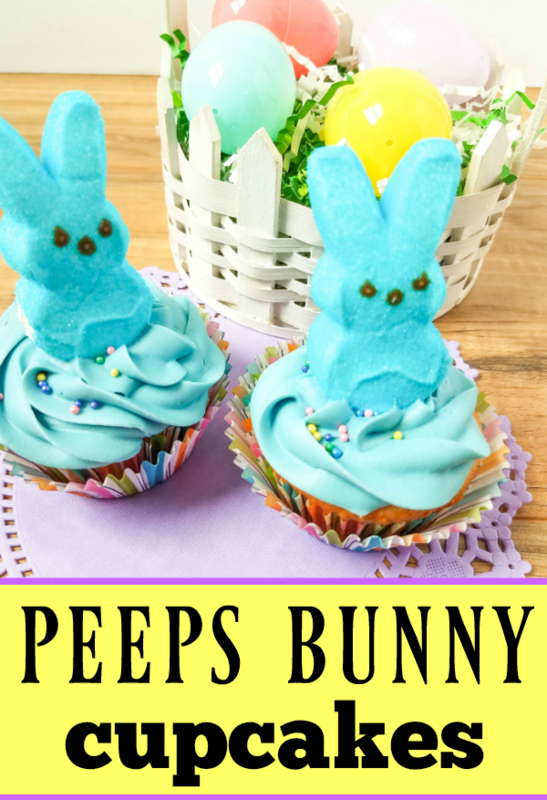 I think you will also like these Easter Basket Cupcakes and these Easter Nest Cupcakes with Peeps for fun Easter treats. Step 1. 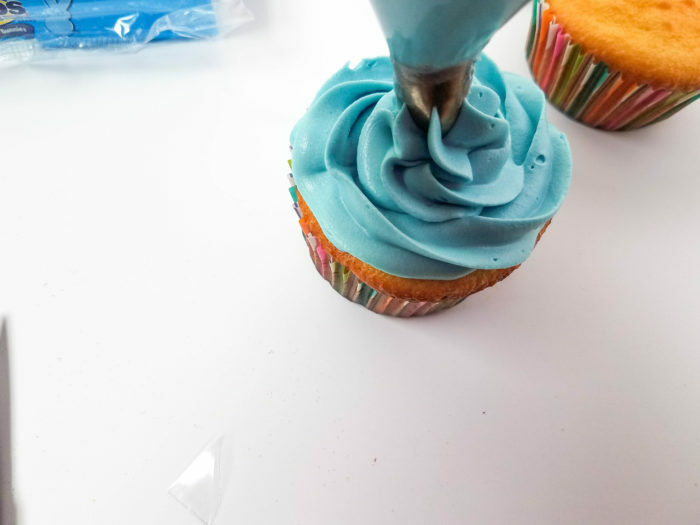 Put 3-5 drops of blue food coloring into the frosting, stir well until all of the frosting is colored. Step 2. Put frosting into a piping bag. Step 3. 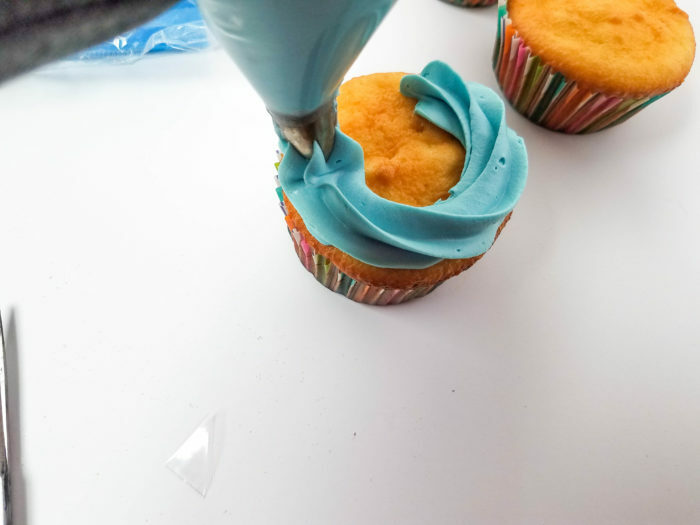 Pipe frosting onto the cupcakes. Step 5. 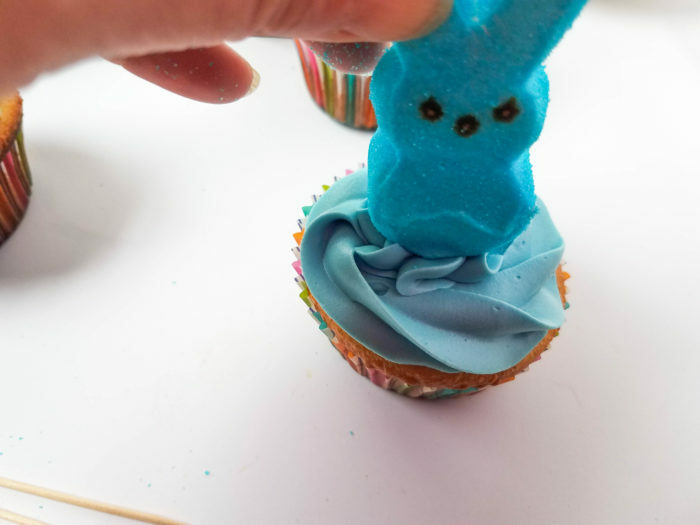 Stick a Peeps Bunny in the center of frosted cupcake. Step 6. Add sprinkles if desired. 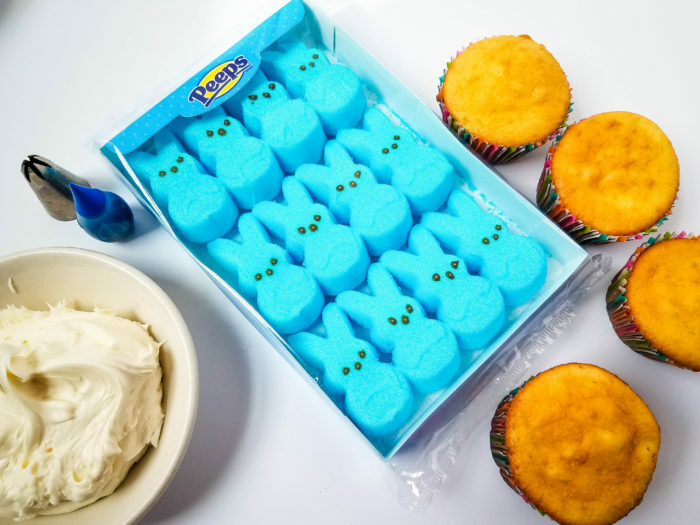 See how simple these Peeps bunny cupcakes are to make?! 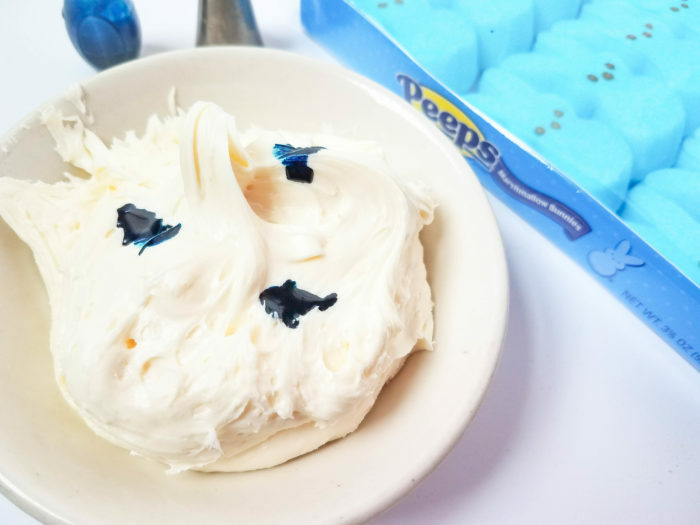 What a simple, yet adorable treat to make for your Easter celebration this year. Love it! I will be making this for Easter.